If you're searching for that elusive one-ski quiver, this is the category to find it. 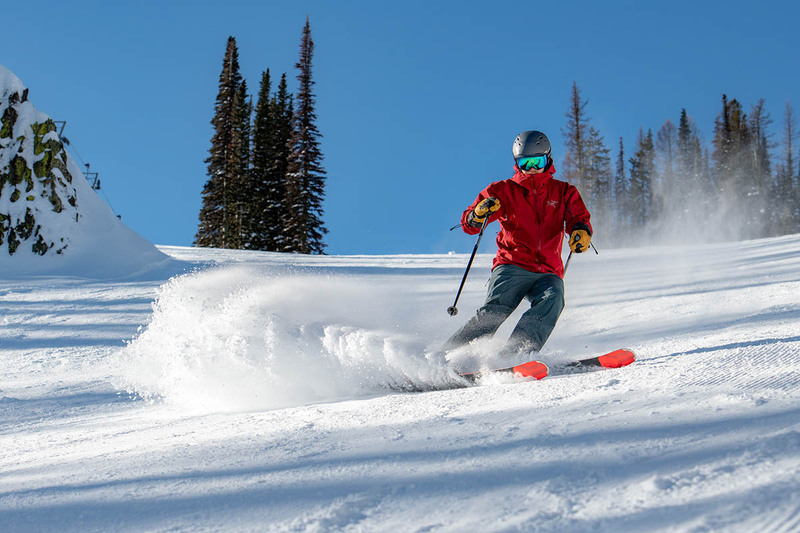 The definition of “all-mountain” varies by manufacturer and retailer, but generally includes skis from 85mm to 105mm underfoot that can both carve on hardpack and provide float in fresh snow. In general, those who ski primarily on the East Coast or in the Midwest should look in the 85mm to 90mm range, and those who ski out West will want a waist width from 90mm to 105mm. It’s a crowded all-mountain field, but below we’ve picked the best models for 2019. For more information on choosing the right ski, see our comparison table and buying advice below the picks. What we like: Versatility defined. What we don’t: A little narrow for big powder days. With the Enforcer 93, Nordica has put together a definitive all-mountain design. Coming on the heels of the successful 100-millimeter-wide version, the slimmer 93 is a standout in terms of frontside performance while retaining plenty of flotation and quickness to get off trail. This is an all-mountain ski that loves turns: the unique hammerhead tip is a great initiator, and a medium flex with two layers of metal means the Enforcer is fun but can really rail through corners. Importantly, the ski is equally friendly at sane speeds and a great choice for everyone from progressing intermediates to experts. Stable and confidence inspiring, the Enforcer 93 feels comfortable in just about all conditions except big powder days out West. This versatile coast-to-coast appeal sets it apart as our favorite all-mountain ski. For those that are lucky enough to have consistently deep snow, Nordica also offers an Enforcer 100 and Enforcer 110. And for 2019-2020, Nordica is expanding this very popular line to include on-piste-focused Enforcer 88 and women’s-specific Santa Ana 88 models. What we like: A strong reboot of an all-mountain classic. What we don’t: A little wide for some skiers. The fourth-generation Mantra was a bit polarizing with its aggressive, fully rockered profile, but Volkl has returned to form with the M5. The big news is the switch to camber underfoot, which greatly expands its appeal as a groomer-friendly, everyday driver. Along with a moderate flex and low rise tip and tail rocker, the ski’s turnability has greatly improved: it loves everything from fast GS-style sweepers to quick and snappy moves in the bumps. As the nameplate that is widely recognized for kicking off the modern all-mountain design, it’s great to see the Mantra return to the top of the pack. It’s a close call between the M5 and Enforcer above, and both are versatile, standout models. In parsing out the differences, the Mantra is noticeably wider at the tip (by 8 mm) and has a little extra surface area throughout for floating in the soft stuff. But the Nordica is a bit easier to control in tight spaces with its nimble, easy-to-manage flex. Both reward capable pilots through variable snow at speed. If you like a wider ski and live in an area that can justify its 96-millimeter waist, the M5 Mantra is a fantastic choice. It's worth noting that similar to Head’s Kore 99, Volkl is leveraging the Mantra’s popularity with a wider 102-millimeter option for this upcoming season. What we like: A great mix of performance and fun on firm snow. What we don’t: Not as versatile in powder as the skis above. The Experience 88 has been a longtime favorite for its impressive groomer performance, and Rossi gave it a full revamp this past season. We’ll start by saying that despite a laundry list of notable changes, the ski still is a treat on hardpack. It hooks up easily and is very solid on edge, has the right amount of stiffness for most advanced-level skiers, and feels nearly unflappable at speed. Where the new model ups the Experience’s appeal is its fun factor: the metal laminate strip down the middle of the ski provides strength (hence the “Ti” in the name), but there’s noticeably more pop and a willingness to turn more quickly than with the older version. The 88-millimeter waist and small amount of metal in the ski’s construction means the Experience isn’t as versatile in soft snow as the Enforcer or Mantra above, nor is it as appealing for ex-racers that demand a lot of power. But its rockered tip holds its own through crud and on light powder days, making it a fantastic all-mountain front option for places like the East Coast (or a groomer ski just about anywhere). If you prefer a more planted, wider design, the Experience Ti also is available in a 94-millimeter version. What we like: Capable and responsive in soft snow. What we don’t: A step down in groomer performance. Transitioning from the groomer-oriented Experience Ti above to one that loves powder, the Salomon QST 106 is a mid-width freeride ski built for good times. In creating the QST line, Salomon focused on keeping weight down while retaining solid all-around performance. To achieve this, they combined a wood core, edge-to-edge Titanal insert, and a laminate of carbon, basalt, and flax to make it responsive but buttoned down in steep and technical sections. If your resort days are all about secret stashes and free refills, the QST 106 is worth a serious look. As is common when you trade on-trail grip for flotation, the QST 106 isn’t as stable at speed: the front end can feel overly light and is prone to moderate chatter on hardpack. As a result, the Salomon is a legit all-mountain option in places that see a lot of powder, but less of an all-rounder than the Enforcer for aggressive pilots. Big mountain riders and those who are lucky to experience even more of the fluffy stuff throughout the season should look to the 118-millimeter version of the QST. What we like: Great value for a fun ski. What we don’t: Not built for hard chargers. It’s not groundbreaking news that quality all-mountain skis are expensive, but there still are good values to be had. Case in point is Line’s Sick Day 88, which is literally hundreds of dollars cheaper than the options above. The entire Sick Day line-up was updated last year, but the all-mountain-friendly 88 is what caught our eye. Despite the on-piste focused dimensions, this is a solid all-round option with a lot of tip rocker and enough flex to be playful just about anywhere on the hill. What are you giving up with the Sick Day 88 at its budget-friendly price? The ski isn’t built for getting too far on an edge and won’t be as comfortable on hard, unforgiving snow. But its soft snow sensibilities, lightweight feel, and focus on fun puts it high up on our list. The $400 price is the cherry on top. What we like: Great feel and ideal all-mountain width. What we don’t: Not for the on-trail hard charger. Legendary ski brand K2 is not as prominent as it once was in this category, but we love the Pinnacle 95. Now in its fourth year, the Pinnacle aims to achieve that elusive “quiver of one” distinction—a ski that’s equally adept at hardpack and powder. And the Pinnacle has all the right bones: a 95mm width combined with an early rise tip and tail rocker for a playful feeling off trail, and a traditional camber for good edge control for spending the occasional day on the groomers. The addition of a little more metal for last year gives the Pinnacle 95 a noticeable increase in on-piste performance. Despite their efforts, this K2 still is best for those that love soft snow. The lively feel doesn’t make it ideal for hard charging groomer days, but it’s undoubtedly fun to steer into the untracked sidecountry. We think the ski has big upside for freeriders and those that like to hit jumps, and we fully expect the Pinnacle 95 will continue to be a top all-mountain and off-piste choice. What we like: A top option for strong resort skiers. What we don’t: Narrow for deep snow and the sidecountry. Blizzard made a few tweaks to its popular Brahma last year, a ski that’s been a mainstay on our list thanks to great frontside performance in almost all snow conditions. The most noticeable changes were a new shovel design and shorter turn radius—from 19 to 17 meters—which translates to a greater willingness to turn quickly. 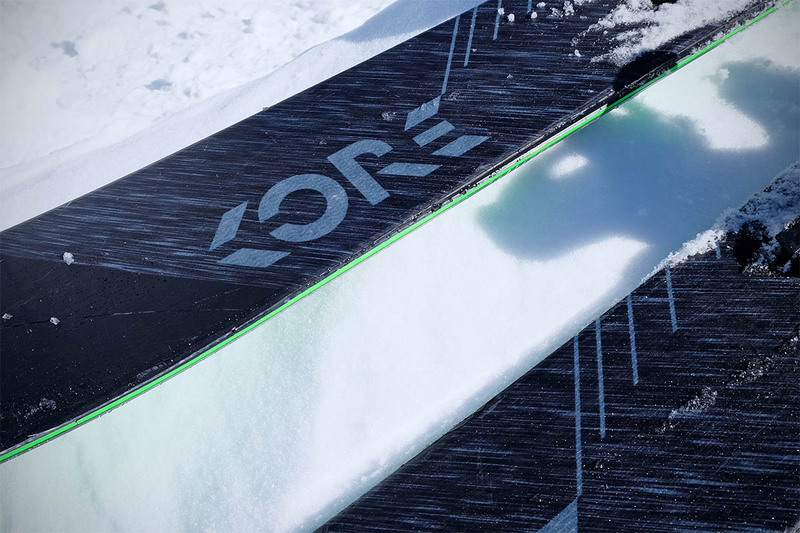 Blizzard’s impressive FlipCore technology remains, which allows their rockered shape to flex and behave more naturally than traditionally constructed skis. With a relatively modest 88-millimeter waist, very stiff build, and light camber underfoot, the Brahma isn’t as versatile as the Enforcer above. But the FlipCore tip and tail rocker profiling retain rock solid edge hold on firm snow, and as long as you're willing to steer it aggressively in powder, the Brahma is a classic all-mountain choice. For intermediates or those that want something a little easier to handle in the soft stuff, check out Blizzard's Rustler series. Those looking for a dedicated groomer ski will be happy to hear that the Brahma and women’s Black Pearl lines will feature a new 82-millimeter width option for 2019-2020. What we like: Strong and fast. 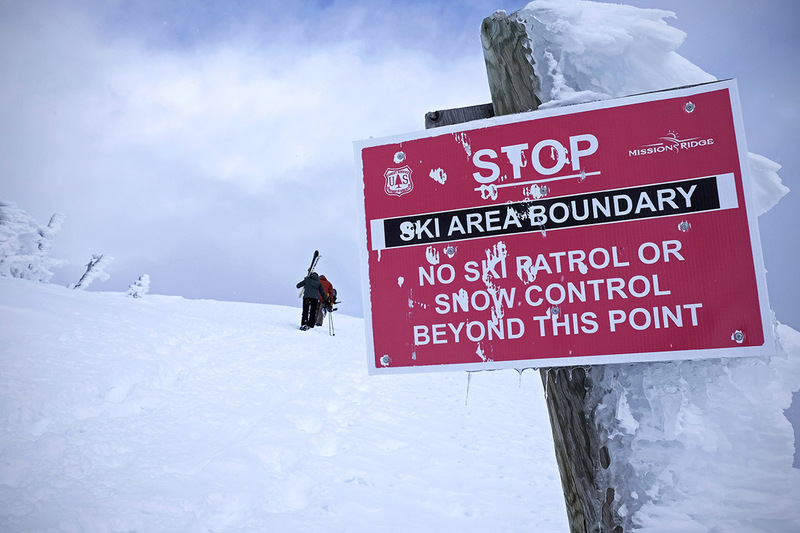 What we don’t: Not the best ski for short, tight turns. With two layers of metal, carbon fiber and Kevlar stringers, and a medium-wide turn radius, the Armada Invictus is built for speed and straight lining runs. These skis are super stable and plenty stiff for the expert rider, and at 99mm at the waist (there’s also a 108mm version) they’re very capable all-mountain skis in most conditions. To reduce chatter when running at full tilt, Armada combines the stiff construction with traditional camber underfoot and a modest tip rocker. Where the Invictus falls a little short is in the trees or over bumps where a faster turning machine is a better match. Further, intermediates who like to take it easy will be best served by looking elsewhere, including the less intense K2 Pinnacle 95 above. But aggressive all-mountain riders that will value the wide platform should give the Invictus 99 Ti serious consideration. What we like: One of the most versatile designs on the market. What we don’t: It’s not a playful ski. For skiers that mostly stick to the frontside on the resort but want the ability to hit the back bowls and get off-piste on occasion, the Volkl Kendo is a nice choice. At 90 millimeters underfoot, it’s a highly versatile ski that is narrow and stiff enough to carve well and take on groomed runs at a variety of speeds, but wide enough to not be out of sorts after a good storm. With enough metal in the construction to put the power down, the men’s Kendo and women’s Kenja trade the playfulness you get with the QST above for rock-solid stability. Past versions of the Kendo have been criticized for being too unforgiving for intermediate riders, but Volkl has loosened things up a bit with the current model, taking the waist out another millimeter, and adding some rocker in the tail for better float. The end result is a true all-rounder that’s fantastic for hardpack and light powder days. Be on the lookout for an updated Kendo for 2019-2020, which will include a number of shared features with the M5 Mantra above (including its Titanal Frame construction) in a narrower, 88-millimeter design. What we like: Fantastic performance for the price. What we don’t: A little lacking at the top-end. Nordica revamped its lineup last year with the Navigator replacing the NRGY. This frontside-focused all-mountain ski takes an interesting hodgepodge of design elements—including the general profile of the old NRGY and the Enforcer’s tip shape—and the end result is a surprisingly polished ski. It’s forgiving enough for intermediates but not out of sorts once you get up to speed. And at $500, Navigator is one of the best values on the all-mountain market. In saving $100 or more compared with most of the skis above, there are a couple compromises with the Navigator 85. For one, top-end performance falls a little short compared with the Enforcer or Kendo, so expert-level skiers probably will want to look elsewhere. And the 85-millimeter width just isn’t enough for deep snow. But with plenty of performance for the majority of skiers and in most resort conditions, the Navigator has earned a spot on our list. What we like: Light but very capable. What we don’t: Lacks the personality of our top-rated skis. Head’s Kore made a big splash last year with its experimental-looking construction that eliminated the traditional plastic topsheet. The result is one of the lightest all-mountain skis on the market that doesn’t compromise stiffness and high-speed stability for expert riders. It’s not as planted all-out as a ski like the Kendo above, but it’s not far off. Further, at 93 millimeters underfoot and with a generously wide shovel, the Kore hits a pretty ideal all-mountain shape. The Kore 93 inevitably will be compared to the Enforcer 93 above, which is a match in terms of width and intended use. Where the Kore excels is its lighter weight that makes bootpacks or sidecountry explorations that much easier. But the Kore is noticeably lacking in personality compared with the Enforcer: it’s not nearly as poppy and fun. We’ve also found the unique topsheet doesn’t age that well, showing scrapes and scars more easily than a plastic design. But we fully expect it to be another top seller for, especially with the addition of the Kore 99. What we like: A very fun all-mountain ski that’s also at home in the park. What we don’t: More playful than buttoned down and fast. J Skis does things differently. Launched in 2013 by the founder of Line Skis, their lineup of six core models is handmade and ever-changing with batches of limited release graphics. For our all-mountain round-up, we like the aptly named Allplay best. This ski has tons of personality: it’s equally fun to flick around on groomers and in powder, but it really comes to life in the park or hitting natural features on the mountain. Importantly, the construction is top-notch with a high quality maple core and strategic use of carbon fiber. 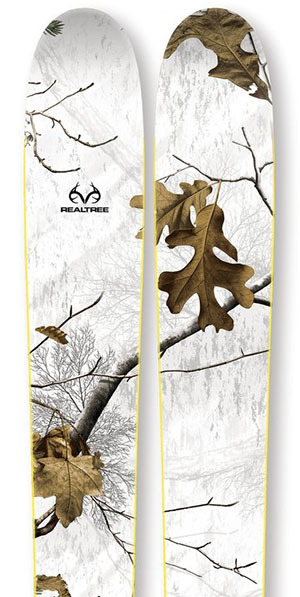 Finally, because J Skis only sells directly through their own website, the Allplay is a solid value at $599. The playful nature of the Allplay does come with some downsides. For one, it’s not an ideal choice for hard chargers or those that spend more time bombing groomers than hitting jumps. It also doesn’t hold an edge as well as our top picks, although intermediate riders that prefer surfing through turns likely won’t notice. But for a ski that just puts a smile on your face—in both its unique look and child-like personality—the Allplay is an absolute winner. For a higher-stability model from J Skis, check out their Masterblaster. What we like: One of our favorite wide all-mountain ski gets better. What we don’t: Too wide and soft for those that stay on-piste. Yes, 106 millimeters is quite wide for the all-mountain category, but Rossignol’s 7 series has garnered so much praise in the past few years that it’s nearing legendary status. The Soul 7 is the flagship all-mountain offering and, as you would expect, does pretty much everything well. It’s light and fun tackling an open bowl, but can button down for hitting technical and steep terrain at speed. For last year, Rossignol improved the ski’s frontside performance with a redesigned Air Tip that is stiffer and not as prone to chatter. The Soul 7 HD is a better on-piste ski than in years past, but it’s still happiest in soft snow. The ski is smooth and easy to navigate in powder, but will wander and resist getting too far on an edge or digging into ice. This is an easy compromise for those that live in powder country, however, where the Soul 7 is an all-mountain dream. What we like: Fantastic frontside performance. What we don’t: Limited versatility. Many of the skis on this list try to toe the line between on and off trail use, but the Atomic Vantage X 83 is a decidedly frontside beast. Right off the bat, it’s important to note the seemingly high $800 price actually is a good deal: the X 83 comes with the highly regarded Warden MNC 13-DIN bindings. These bindings retail for $260 and are a great match for the rock solid feel of the Vantage. The clear downside is that the Vantage X 83 has been tuned to rail hardpack almost exclusively. The ski is nearly faultless at speed, turns smoothly, and is easy to trust on the edge. Venture off trail, however, and it can’t hide its 83-millimeter width (although it will dance in the trees if the snow isn’t too deep). If you’re willing to compromise in versatility and just love a powerful ski, we recommend checking out the Vantage X 83. What we like: Stiff and strong yet light. What we don’t: Too much ski for most intermediates. The Pro Mountain 95 is Fischer’s premium all-mountain weapon and one of the more serious skis to make our list. With a full-length Titanal metal layer, it’s stiff for strong skiers, but Fischer included carbon in the tip and tail to keep weight in check. In fact, they claim the Pro Mountain Ti is the lightest ski in its category. This makes it a very intriguing option for hard chargers who really like to fly. East coast or Midwest rippers will be happy to know that 86mm and 80mm versions of the Pro Mtn Ti are available, and we’d put those models right up there as strong competition to the Blizzard Brahma above. A rocker tip and tail round out a nice design that, while on the pricey side, is a great match for aggressive skiers looking to trim some weight off their downhill sticks. What we like: Quick turning and lightweight. What we don’t: Too expensive. Dynastar shook up their all-mountain lineup last year with the Legend X 96. While not an exact replacement to the outgoing Cham 2.0, the Legend X effectively replaced it as a lightweight ski that mixes all-mountain and backcountry characteristics. What stands out is the ski’s willingness to turn quickly—it excels in the trees with quick responses and a feathery but impressively stable personality. And the Legend X’s 96-millimeter width and wide shovel are comfortable tackling both corduroy and powder. The Legend X lands near the bottom of our list mostly because it doesn’t live up to its steep price. 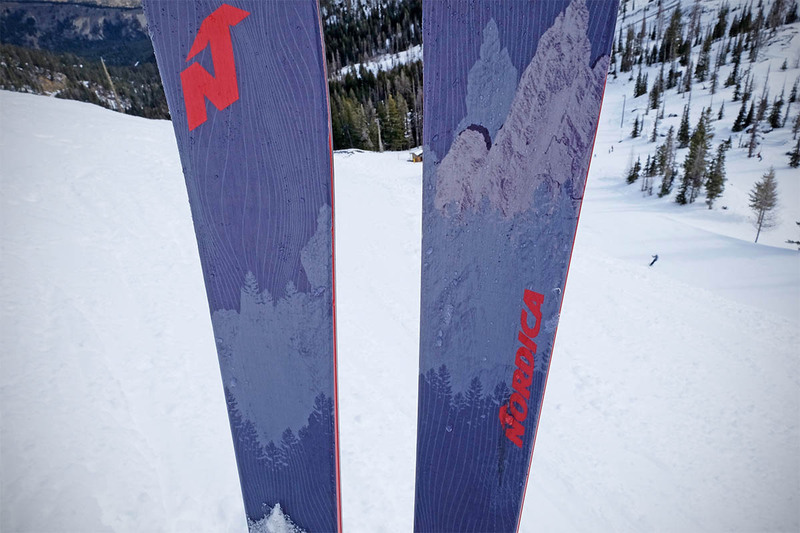 Skis in the $700 range typically are more powerful and tuned to expert riders, but the Dynastar is best for advancing intermediates. If you want snappy turning from a frontside ski, you can get something like the Nordica Navigator 90 and save $100 (and the 85-millimeter width Navigator saves you another $100). But the Legend X 96 is wider and a little more versatile than those skis, and it’s still a good choice for backcountry riders that want to throw on a pair of lightweight touring bindings. What we like: Pro-level performance on and off piste. What we don’t: Only pros can justify paying for it. With big time power, performance-oriented skiers love the Kastle FX95 HP, which was developed by renowned ski mountaineer Chris Davenport. All Kastle skis feature a unique hollow construction tip to reduce swingweight and chatter through variable snow. Classic metal laminate construction will smooth out the bumps going Mach-looney on a groomer or through cut up powder, and a wonderful ash and silver fir core makes the FX95 a flickable off-piste joy. The older version of this ski was associated with being a difficult ride for non-experts, but the current design is more approachable and can be enjoyed even when you’re not muscling it around. Of course, price is the biggest barrier to entry here, and the improvements from other models on this list are incremental at best. But for those who truly get the most out of their skis, the FX95 HP is worth the extra dough. What we like: Soft set up is great for beginners. What we don’t: Could outgrow its abilities quickly. Even the most forgiving skis above are a bit of a stretch for a true beginner, which is where the Rossignol Smash 7 comes in. The Smash sits at the bottom of the revered “7” line from Rossignol, and has the cheapest price ($400 including 11-DIN bindings), softest feel, and narrowest width. But the ski still has the series’ signature Powder Turn Rocker, which mixes easy turning rocker at the tip and tail with enough camber underfoot to practice turning on hardpack. And at 92 millimeters wide, it’s one of the most off-trail-oriented beginner skis on the market. In truth, we’re not completely sold on the tweener nature of the Smash 7. It’s forgiving enough, but the ski is overmatched at any decent speed on a groomer, which means a fast learner may outgrow it. On the other hand, its off-piste abilities are great for those that plan to head to the soft stuff right off the bat (but that’s not all that common). The Smash 7 certainly isn’t for everyone, but its approachable price and unique wide width earn it a spot on our list. What is an All-Mountain Ski? What's with the Carbon Craze? By definition, an all-mountain ski should be adept at just about anything you’ll encounter during a day on the slopes (the commonly used term is “quiver of one”). This isn’t a hard-and-fast category and has trended wider over the years, but generally encompasses skis from 85mm to 105mm underfoot that are best for the front side of the mountain and skiing in bounds (at least most of the time). At the narrow end are focused on-trail groomer skis and at the wide end are skis that can handle back bowls and powder just fine. It’s equally important to understand the limitations of this ski type. 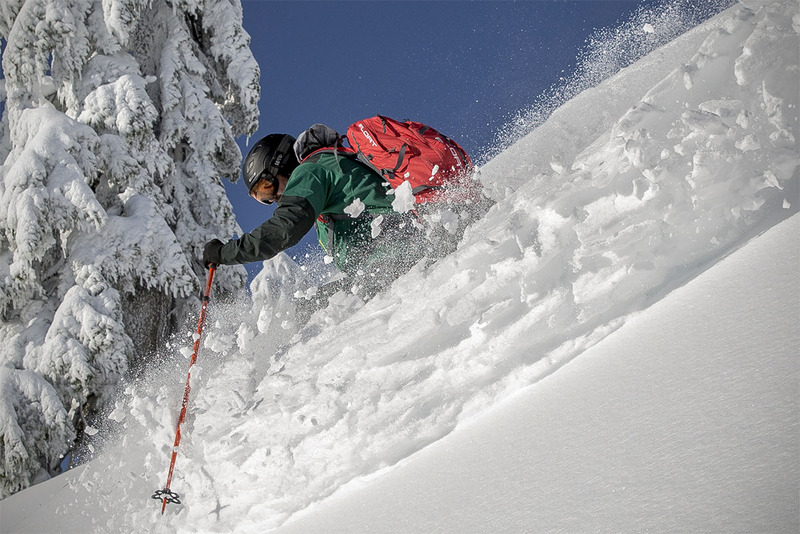 All-mountain skis are not ideal for deep powder or the backcountry (for alpine touring options, see our article on the Best Backcountry Skis). In addition, they're often heavy for uphill travel, although this is changing as materials continue to improve. What they do offer is that all-in-one functionality: for anything from crusty hardpark to bluebird soft snow days, there’s an all-mountain ski for that. Logically, it’s not as simple as just choosing any old all-mountain ski and calling it good. The decision should involve local snow conditions, skiing style, and ability level. We cover these important considerations below. The width of the very middle of the ski is the key measurement in choosing a proper all-mountain setup. You’ll see the waist width measured in millimeters, also referred to by the term “underfoot.” Skis nowadays are fairly wide for improved stability and control in soft snow. If you line up a current all-mountain ski with one from 15 years ago, the change in waist width is dramatic. Here is where things stand for 2019, and for more information on this topic, see our full article on choosing the right ski waist width. As folks on the East Coast are aware, powder days can be few and far between. And when a snowstorm blows through overnight, it’s best to lay first tracks as those couple of inches probably won’t make it to lunchtime. If you’re from an area like this or stick primarily to groomed runs, a ski in the 80mm to 90mm waist width range will be an ideal pairing. In other words, don’t be seduced by a wide powder ski, no matter how amazing it looks. 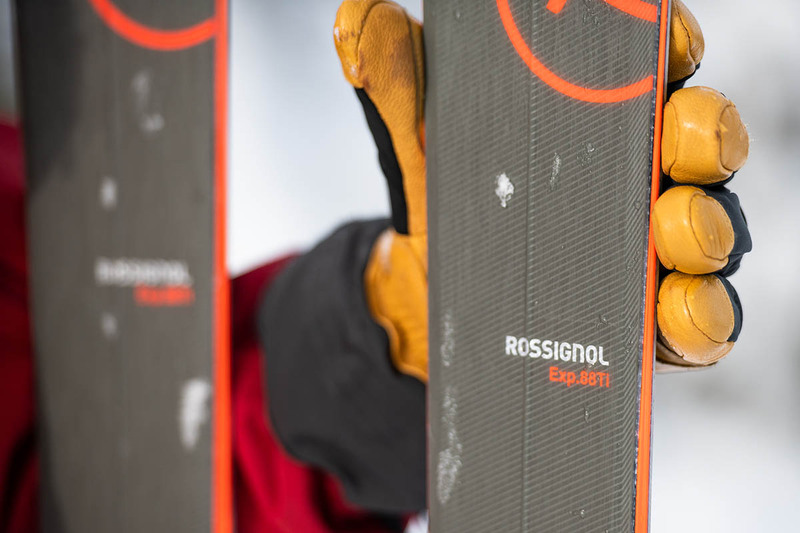 The Rossignol Experience 88 Ti is a very popular groomer ski and one of our top all-mountain picks for 2019. An all-around ski can handle anything from early season groomer days to occasional off-track powder runs. As a result of the universal appeal, this is the core of the all-mountain category. Ideal waist widths vary from about 90 to 100mm and a more universal profile is preferred (light tip/tail rocker to limit tail flap). If you had to pick one ski for the entire season’s worth of conditions, this would be it. Our top pick, the Nordica Enforcer 93, sits squarely within this range. Places like Colorado and Utah are blessed with frequent dumps of glorious powder. 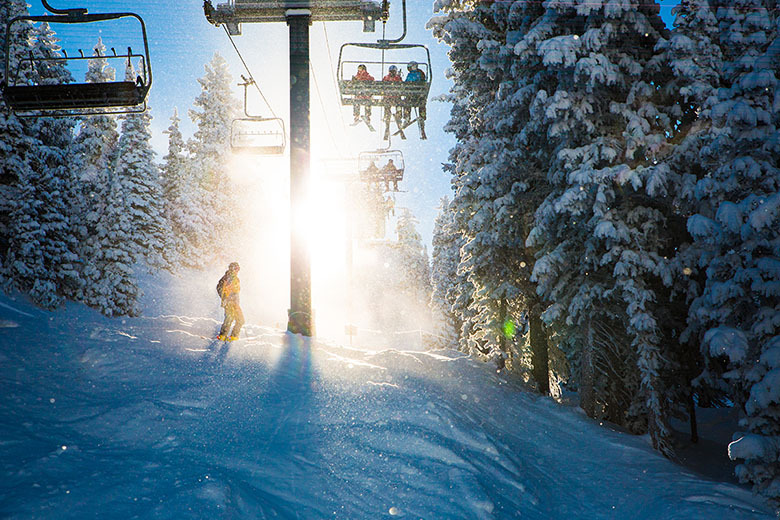 The dry and light stuff that falls in these Western States have made them a skier’s paradise. So what’s the best all-mountain ski for these conditions? To start, it’s best to acknowledge that a one-ski quiver is insufficient for backcountry powder hounds—those folks will be best served with a dedicated powder ski (or multiple skis) that can stay afloat in the deep stuff. But should you stick to lift assisted skiing and don’t get too lost in the trees, a ski with a width of 100-110mm should be just right. A nice powder ski that still hits the all-mountain category is the Rossignol Soul 7 HD. In sum, moving to a wider ski increases flotation in powder. With a wider base along with rocker technology (covered below), the greater surface area means you can ski more easily and aggressively. But it’s not all good news with fat skis. Wider skis generally make wider turns, and the benefits are mostly appreciated by those that ski off trail or live in powder-rich areas. We’ve seen too many skiers suffering on hardpack with skis that are too wide and cumbersome. So don’t get caught up in the wider is always better mantra—make sure you’ll be able to appreciate the benefits that wider skis provide. The all-mountain category tries valiantly to cover a very wide range of skiing styles and terrain, but, as we cover in the waist width section above, there are significant differences between models. As such, we’ve found it helpful to refer to the skis with an on-piste focus as “all-mountain front” and off-trail-oriented as “all-mountain back.” Skis that perform reasonably well on both groomed runs and powder are categorized simply as "all-mountain." In short, an all-mountain front ski is best for tackling groomed runs. It has a narrower width, semi-stiff to stiff construction, and ski profile (covered below) that's tuned for stability and good edge hold on hardpack. Some of our favorite all-mountain front skis are the Rossignol Experience 88 Ti and Blizzard Brahma. All-mountain back skis on the other hand are wider, softer, and built to float in deep snow. These are just shy of a powder ski, (but are more planted if you have to ski on-piste) with examples including the Salomon QST at 106mm in width. They aren’t as fun for carving and can be less stable at speed, but they remain a suitable option for skiers that spend about 50 percent or more of their time off trail. The rest of the pack balances traits from both categories, with enough stability for moving fast and a medium width (often between 90mm and 100mm) for soft snow use. The profile of a ski can be broken into three main categories: camber, rocker, and mixed rocker/camber. There are others, including skis with a flat bottom shape, but the three listed below are the most popular—and for good reason. Each has their own strengths and weaknesses for skier and snow type. Camber is the traditional groomer ski design. The profile has a half moon-like shape that peaks right underneath your boot and contacts the ground towards the tip and tail of the ski. While skiing, your weight presses the ski into the snow, and when you lift coming out of the turn, you get a satisfying pop that propels you into the next turn. The design has been popular for many years because it provides even contact with the snow and superior edge control when carving down a groomed slope. Camber used to dominate the all-mountain category, but now it’s become a bit of a rarity. So why has traditional camber fallen out of favor? In short, because the industry fell in love with the new kid on the block: rocker (and then mixed camber/rocker). But traditional camber remains a great choice for those that like to ski aggressively on groomed runs. Don’t buy the marketing hype that pure camber is dead. Rocker, also known as reverse camber, is when the tips of the skis are raised on either end, creating a sort of banana shape to the ski profile. This design came about originally for its benefits in deep powder. And even just a few years ago, rocker was mostly resigned to powder skis, but the design has come on strong in all-mountain setups of late. Our take is that a full rocker setup, rising at both the tip and the tail, is still best for those that like to spend more of their time off-trail (it's notable that Volkl's popular Mantra switched from full rocker to mixed camber/rocker for this year). The downside of a pure rocker ski is the flat surface underfoot has a tendency to be more skittish when carving on hardpack. Although it turns easily, it just doesn’t hold an edge like traditional camber. From this issue was born a third category: mixed rocker/camber. With both rocker and camber providing real world benefits enjoyed by skiers of just about any ability level, manufacturers have turned their attention recently to mixed camber. In theory, it should provide the best of both worlds: the edge control of a traditional camber ski and the crud busting and easy cruising in deep powder that you get with rocker. And reality isn’t that far off. There are variations in how manufacturers pull off this mix: some go with a tip-only rocker while others go for tip and tail (the latter is great for those that spend some time riding switch). If you’re a skier that tries to cover all of the mountain, a mixed camber/rocker setup is a great pairing. For visual learners, snow sports retailer Evo has put together a helpful video explaining the various profile types. Keep in mind that a longer version of the same ski will increase the side cut radius, so if you’re weighing two ski lengths know that the shorter option will be more inclined to turn a little sharper (at the sacrifice of some top-end speed and flotation). The stiffness of a ski is one of its defining features and a clear differentiator between beginner and advanced-level models. A rigid design is stable at speed and has the highest performance potential, but a beginner or less confident pilot will lack control and may find it difficult to turn. On the flipside, getting a ski that is too soft can lower the ceiling of your top-end performance and leave an advanced (or advancing) skier wanting more. A ski’s stiffness is the result of its material mix, and key indicators include how much metal (if any) the manufacturer is using. Commonly, a stiff ski will have 2-layers of Titanal (a strong alloy) that runs the full length and width of the ski. While it adds a little weight, the metal increases stability, and expert-level skis like the Fischer Pro Mtn Ti utilize this type of construction. 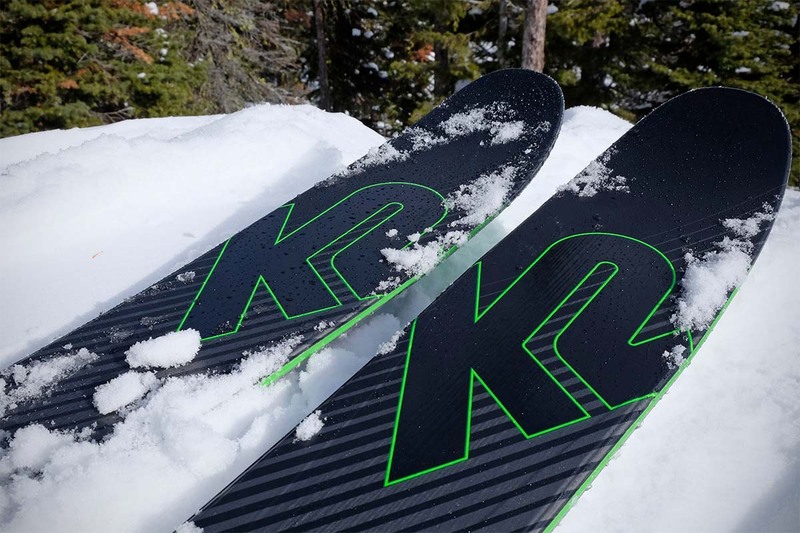 On the other end of the spectrum is a softer ski like the K2 Pinnacle 95 Ti, which only has a metal laminate along the outer edges. The focus is less on speed and more on a playful nature, which makes it a better match off-piste and at milder speeds. For many years, a women’s-specific ski essentially was the men’s version in a shorter length, softer flex, and different colorway. The technology is evolving, however, and a number of ski manufacturers now are taking into account more advanced design elements. For 2019, many women’s-specific models have moved the recommended mounting points slightly forward (this better accommodates how an average woman balances on skis compared to an average man), along with a lighter overall weight. Softer flexes still are common, but many brands are now making skis to accommodate hard charging women. A great example is the updated Nordica Santa Ana 93, which now features two layers of metal for strong top-end performance. Which ski type should you buy? Keep in mind that the primary version of a ski isn’t a “men’s” version but instead unisex in nature. When a women’s-specific version is available, we’ve included a link to that option as well. The choice comes down to personal preference, and most importantly, the quality and characteristics of each model. Some women use unisex skis, some favor women’s-specific models, and many serious skiers have a quiver that includes both. We recommend getting whichever ski fits and feels best. What’s with the Carbon Craze? Almost without fail, brand new or updated skis are promoting their use of carbon fiber in the construction. The material is light and strong—two excellent characteristics for skis, which benefit from a lighter weight and stiffer construction. But carbon is best used as a secondary or complimentary material as it lacks the natural feel and durability of a wood core. Fischer’s Pro Mtn Ti is a great example of the benefits of carbon fiber. With extensive use of the material in the tip and tail, swing weight is reduced but tip chatter is kept to a minimum thanks to the thin but rigid construction. Just don’t assume any application of carbon is automatically beneficial. Some manufacturers seem to throw it in for good measure, and limited use of carbon probably won’t make a lick of difference in either weight or performance. Picking skis used to a pretty simple process, and could be done simply by knowing your height (the center of the forehead was a common match for a ski). Those days are long gone, replaced by more of a scientific process. Now, ski manufacturers are basing their recommendations on height and weight. This allows you to maximize the ski’s potential with proper amounts of flex and power transfer. Other considerations are skiing style: shorter skis are easier to handle for beginners and turning faster, while longer skis float better and are more stable at high speed. In the end, the right skis might only come to your chin or they may reach the top of your head, so all length should do is give you a good ballpark. We’ve found the sizing chart on Evo to be helpful as baseline information. Of utmost importance in choosing a ski setup is to realize how interconnected each piece is. Boot, binding, and skis need to be all working in concert to maximize the performance potential of your gear as well as to maximize your enjoyment. Skimping on one will impact the performance of everything else. As an example, if you have a stiff, performance-oriented boot, you’re going to waste its abilities with a slow and cumbersome entry-level ski and binding. Alternatively, if you have a beginner, flexible boot with an advanced ski and binding set, you won’t be able to transfer enough power to really carve your way down the slopes. 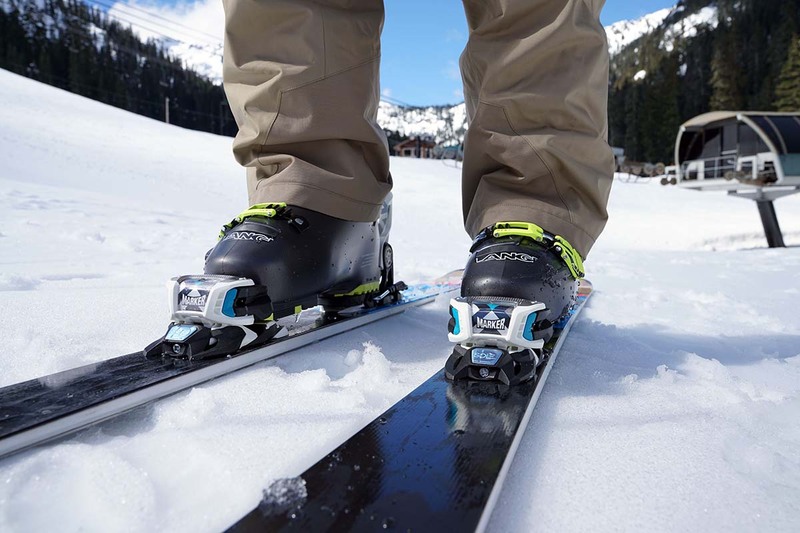 To help guarantee you end up with a proper match, our ski binding and downhill boot recommendations breakdown the categories in a similar fashion as all-mountain skis: tailoring picks to ski conditions and ability level. Should you have additional inquiries, feel free to fire away in the discussion section below. It goes without saying that purchasing a pair of skis is a significant investment and one that requires a good deal of research. Ideally you’ll have a chance to get your hands on the skis before taking the plunge, but that isn’t a reality for everyone and ordering them online is a pretty seamless process these days. Most major retailers offer free and surprisingly fast shipping, which makes it a very attractive option. Once you get your skis, you’ll need to get your bindings mounted. Just about any ski shop will do the work for you, with the average cost ranging from about $40 to $70. The only online retailer that we’re aware of that will do the work prior to shipping is Skis.com. For 2019, they offer the service for $50, but you have to purchase the boots, bindings, and skis all at once so they can get everything properly fitted. Many of REI’s 153 stores have a ski shop and they offer a good discount on the mounting service. Prices vary by store, but we checked with the flagship in Seattle and the cost is $25 for an alpine mounting. The price goes go up to $50 if you didn’t purchase the skis from them. Evo and Backcountry offer mounting services at their stores, but that’s limited to Salt Lake City (Backcountry), and Seattle, Denver, and Portland (Evo).